Australian utility AGL Energy held a press event last week to publicize what the company claims will soon become the largest behind-the-meter battery installation in the world. The installation is relatively small at the moment -- only residential 60 batteries have been installed to date, out of 150 to be deployed by the end of this quarter. But by next year, AGL plans to have 1,000 of them running as a virtual power plant (VPP) to keep lights on during power outages, and provide a variety of grid services that will help accelerate Australia's shift to renewable energy. AGL’s AUD $20 million (USD $15 million) VPP project is also a big win for California startup Sunverge. 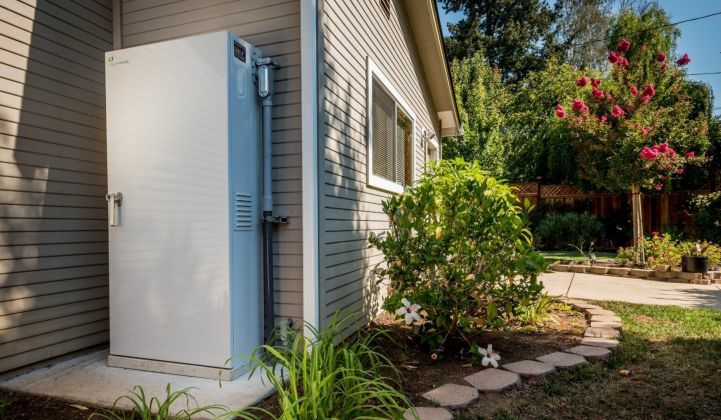 Not only is it providing all of the solar-battery control systems installed by the utility so far, it’s also been tapped to provide the software control platform that will eventually extend to all 1,000 units -- and, potentially, to energy resources beyond batteries. “Sunverge in partnership with AGL will be providing the orchestration capability. This is a joint internet-of-things effort for the full fleet of batteries, managing their deployment to demonstrate the services required to realize a number of different value streams -- for the customer, for the transmission and distribution networks, and for AGL as a retailer,” Andy Vesey, the utility’s CEO, said in an email last week. The utility, which is also an investor in Sunverge, has already begun demonstrating VPP functions, such as aggregated peak demand management and frequency control, and expects to publish a report on that progress in May, he said. At the same time, the first installed units have already helped customers ride through some of the blackouts that have struck Southern Australia in recent months, he said. For Sunverge, which announced last month that it’s branching out from controlling its own hardware to providing its control platform as a software-as-a-service product, it’s an important testing case. While the startup has about 1,000 of its own battery systems deployed worldwide, it never planned to go head-to-head with giant Asian battery manufacturers, or upstart hardware competitors, such as Tesla, CEO Ken Munson said. AGL hasn’t yet picked which different battery manufacturers it will be working with for its entire 1,000-unit VPP deployment. So far, Sunverge is working on integrating its software platform with various different technologies, and is “in discussions with three or four different battery technologies,” including LG Chem and Sony, “and three or four different energy storage providers coming to market,” Munson said. “We can integrate at two different layers,” he noted. The first involves a good deal of precise work with battery and inverter systems before deployment, and can “offer nearly all the same ancillary services and behind the meter services that we can do on our own software stack. 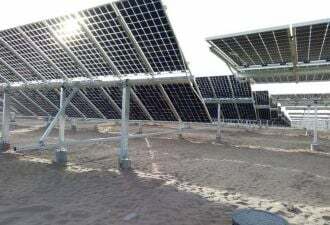 But we also see that the market doesn’t always want the many robust feature sets,” and Sunverge offers a lower-cost option for customers that would prefer to enable a simpler set of grid controls, he said. Australia has been an important early market for behind-the-meter batteries, with well-known brands such as Tesla and Sonnen competing against companies like China’s Narada Power and Australia’s Redflow. GTM Research predicts that Australia’s energy storage market could grow 37-fold between 2015 and 2020, reaching an annual installation rate of 244 megawatts. The vast majority of this growth is happening behind the meter, predominantly as add-ons to existing residential solar systems. Sunverge expects to announce two more partners for its software-as-a-service platform in the next four to six weeks, he added.